Dr. Boudreaux joined our faculty in July, 1993 and has been instrumental in establishing the pancreas and liver transplantation programs. He performed the first pancreas transplant in Louisiana in 1990. His current interests include the surgical care of patients with neuroendocrine tumors such as carcinoid. Board Certified: Internal Medicine,Physical Medicine and Rehabili. Dr Campos, received her doctor of medicine degree from the Javeriana University School of Medicine in Bogota, Colombia. She completed residencies at Louisiana State University and is board certified in physical medicine and rehabilitation and internal medicine. Doctor Campos was Department Chair of Physical Medicine and rehabilitation at Fundacion Santafe de Bogota, Colombia and Medical Director of the Sticht Center for Rehabilitation in winston Salem, NC. Currently she is an adjunct assistant professor at Wake Forest University Baptist Medical Center, Winston Salem in the Neurology department and has a private practice in the area. Dr. Duchesne is an Assistant Professor of Surgery and Director of the Surgical Intensive Care Unit. Dr. Fabrega earned his medical degree from the University of Panama School of Medicine and completed his internship at Social Security Hospital, Republic of Panama. He completed his residency at Gorgas Army Hospital at the former Panama Canal Zone. He completed his fellowship in medical oncology in the Department of Developmental Therapeutics at MD Anderson Hospital in Houston and the Department of Clinical Immunology at Memorial Sloan-Kettering Cancer Center in New York. 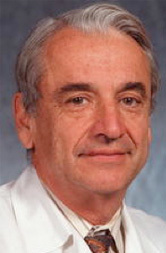 Dr. Fabrega has held positions as a private practitioner at Schoolcraft Memorial Hospital in Manistique, Michigan; Assistant Chief of Medical Oncology in the Department of Medicine at the Social Security Hospital in the Republic of Panama; Medical Officer at the MEDDAC Panama, Coco Solo Army Health Clinic; and private practitioner at King's Daughters Hospital in Yazoo City, Mississippi. Dr. Fabrega is board certified in medical oncology and internal medicine and has been on staff at Ochsner since 1993. His special medical interests include travel medicine, breast, lung and colon cancer. Dr. Lopez earned his medical degree at the Universidad Javeriana, Bogota, Colombia. He was the recipient of the John Simmon Guggenheim Memorial Foundation Fellowship and a Clinical and Research Fellowship at Harvard University, Harvard Medical School and the Massachusetts General Hospital in Boston. Dr. Lopez has been on the faculty of Louisiana State University Medical Center, Tulane Medical School and is currently Emeritus Professor of Medicine working in the Tulane Allergy & Immunology clinic. He is board certified in Allergy and Immunology and Laboratory Immunology. Dr. Lopez is a fellow of the American Academy of Allergy, Asthma and Immunology and the American College of Allergy, Asthma and Immunology, a member of the American Association of Immunologists, the International Association of Aerobiology, American Thoracic Society, as well as other national and international associations. Dr. Lopez has co-authored over 100 articles and abstracts appearing in the Journal of Allergy and Clinical Immunology, Journal of Immunology, International Archives of Allergy and Applied Immunology, Clinical and Experimental Allergy, Environmental Research, Human Immunology, Toxicology Industrial Health and others. He has been a reviewer for several medical journals and has been a member of the editorial board of the Journal of Allergy and Clinical Immunology, and the Annals of Allergy, Asthma & Immunology and currently member of the editorial board of the Journal of Investigative Allergology and Clinical Immunology. Dr. Lopez has been a member of several NIH study sections and the Food and Drug Administration advisory committee on allergenic extracts. Throughout the years he has been involved in teaching, research and patient care. Dr. Lopez has a very active consultation practice in allergy, occupational hypersensitivity diseases and clinical immunology. His research has included, among others, the effects of chemicals on the immune system, occupational asthma, hypersensitivity pneumonitis, the role of molds in allergy, effects of environmental tobacco smoke on asthmatics and the evaluation of drug allergies. On-call physician for DOHMH during training. Pediatrics, NY Presbyterian Hospital – Columbia University, Division of General Pediatrics. Columbia University’s general pediatrics clinics. Served as on-call pediatrician for the clinic, receiving calls from both patients and providers. On weekends on which served as on-call pediatrician, served as general pediatrics ward attending for patients hospitalized from our clinic. Start/Comienzo Sano parent-designed nutrition and physical activity classes. Dr. Mosquera was born in Popayan, Colombia. He began medical school at the Universidad Nacional de Colombia in Bogota and later transferred to complete his medical school training at the University of Panama, from which he graduated in 1973. He began his career as an Emergency Medicine physician in Coco Solo Hospital in the former Canal Zone of Panama. At Gorgas US Army Hospital in the former Panama Canal Zone, he completed his training in General Surgery. He is Board-certified in General Surgery by the American Board of Surgery and member of the American College of Surgeons. In 1980, he trained in Surgical Oncology at Downstate Medical Center in New York City. He is a member of multiple medical societies. He was Chief of Surgery at Hospital San Pedro Claver the largest Medical institution of “Seguridad Social “in Colombia. He has practiced Surgery, Emergency Medicine, as well as Academic Medicine for many years, at the University of Illinois, Fundacion Santafe de Bogota, San Pedro Claver Hospital, Gorgas US Army Hospital, The Ochsner Clinic Foundation in New Orleans, and at Charity Hospital of Louisiana State University Health Sciences Center in New Orleans. Dr. Mosquera was elected President of the House Staff at Gorgas US Army Hospital where he actively was able through the AMA and the US Congress to change and give malpractice insurance coverage to the Medical residents at Gorgas. When he was at Ochsner he initiated teaching laparoscopic and surgery workshops to his residents and local surgeons while treating indigent patients throughout Central America. He was involved in bringing donated medical equipment to needy hospitals and institutions. Dr. Mosquera has active licenses to practice medicine and surgery in various states within the United States as well as in the Republic of Panama. He is recognized by medical boards to practice Surgery in Colombia, Panamá and the US, and is currently a founding member and Chancellor of the International School of Medical Sciences (ISMS). Bio: Herbert L. Muncie Jr., MD, is a Professor of Family Medicine and Director of the Section of Predoctoral Education in the Department of Family Medicine. After completing a bachelor's degree in pre-med at the University of Georgia, Dr. Muncie received his MD from the Medical College of Georgia in 1971. He completed a Family Medicine residency at University of Maryland Hospital, where he served as chief resident, as well as a fellowship in Family Medicine. He is board-certified in Family Medicine and Addiction Medicine, with a certificate of added qualifications in Geriatrics. Before joining the LSU faculty, Dr. Muncie served as Chairman of the Department of Family Medicine at the University Of Maryland School Of Medicine. Dr. Orillac was born in the Republic of Panama. In 1959 he graduated from Fordham University - Bronx, New York. He received his medical degree from the University of Panama School of Medicine - Republic of Panama in 1963. He completed his ophthalmology residency at the State University of New York Downstate Medical Center in Brooklyn New York, during the Tenure of Professor Richard C. Troutman . 1964-1968. Clinical Professor of Anatomy Panama University School of Medicine. Professor, Department of Ophthalmology Panama University School of Medicine. Professor and Chairman, Department of Ophthalmology, Panama University School of Medicine. Associate Professor, Department of Ophthalmology Tulane University Medical Center, New Orleans, Louisiana. Consultant, Department of Ophthalmology, Oschner Medical Center, New Orleans, Louisiana. Associate Professor with Tenure, Department of Ophthalmology, LSU Medical Center Shreveport, E. A. Conway Medical Center Division, Monroe, Louisiana. Associate Professor, Department of Ophthalmology Northwestern University, Chicago, Illinois. At present Dr. Orillac is the Director of the Eye Center at the Veterans Administration in Baton Rouge, Louisiana. Dr. Orillac has been active in research and has published in the major ophthalmology journals. His research interest include glaucoma medications to improve treatment of glaucoma. He has been recipient of multiple awards. 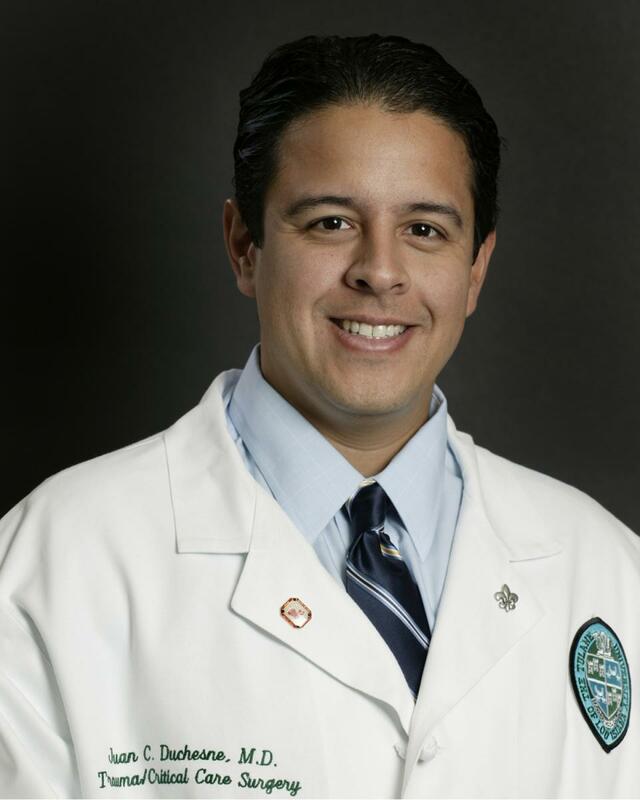 Jaime A. Rodriguez, M.D., F.A.C.S., associate professor of surgery at Florida International University’s Herbert Wertheim College of Medicine, is an active member of the Department of Surgery at Jackson North Medical Center. 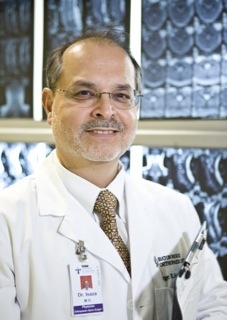 Dr. Jaime Alberto Rodriguez comes to FIU as the Chief of Surgery at Jackson North Medical Center (JNMC). He is responsible for providing surgical care to patients at JNMC and assisting JNMC in developing and supervising their surgical program. Additionally, Dr. Rodriguez will participate in the creation of an ACGME approved program in graduate medical education in surgery. Dr. Rodriguez will be involved in teaching at the COM at various levels and will assist in the development of the surgical curriculum. Dr. Rodriguez received his M.D at the Javeriana University in Bogota, Colombia, in 1983, and finished his training in surgery at the Samaritana Hospital in Bogota, Colombia, in 1985, he then became involved in academic medicine, teaching residents from two prestigious Medical Schools for several years; his work as surgeon mainly involved trauma. After immigrating to the United States, he spent three years performing basic research, studying the relationship between bacterial translocation and jejunoileal bypass. He then trained in surgery at Louisiana State University Health Sciences Center, joined the Department of Surgery as faculty and became the residency program director of general surgery and chief of the general surgery section at the Veterans Administration Hospital. Two years ago, he entered into private practice at Bert Fish Medical Center in New Smyrna Beach, Florida. His clinical expertise and interest is in general and advanced laparoscopic surgery, oncology and breast surgery. Dr. Rodriguez is a member of the Society of Laparoendoscopic Surgeons. His publications are on trauma, laparoscopic and general surgery. Dr. Rodriguez is known to be a dedicated teacher for which he has received awards, and has also received an award for his leadership participation in the aftermath of Hurricane Katrina. His clinical expertise and interest is in general and advanced laparoscopic, oncologic and breast surgery. Dr. Rodriguez is a member of the Society of Laparoendoscopic Surgeons. His publications are on trauma, and laparoscopic and general surgery. Dr. Sardi completed his training as a fellow in oncologic surgery at The Ohio State University.Dr. Sardi practiced as a surgical oncologist at the Ochsner Clinic in New Orleans, and was the founding Chief of Surgical Oncology at Health Care International in Glasgow. In 1994, he was named Chief of Surgical Oncology at St. Agnes Hospital in Baltimore and was later appointed Medical Director of the Clinical Research Center.